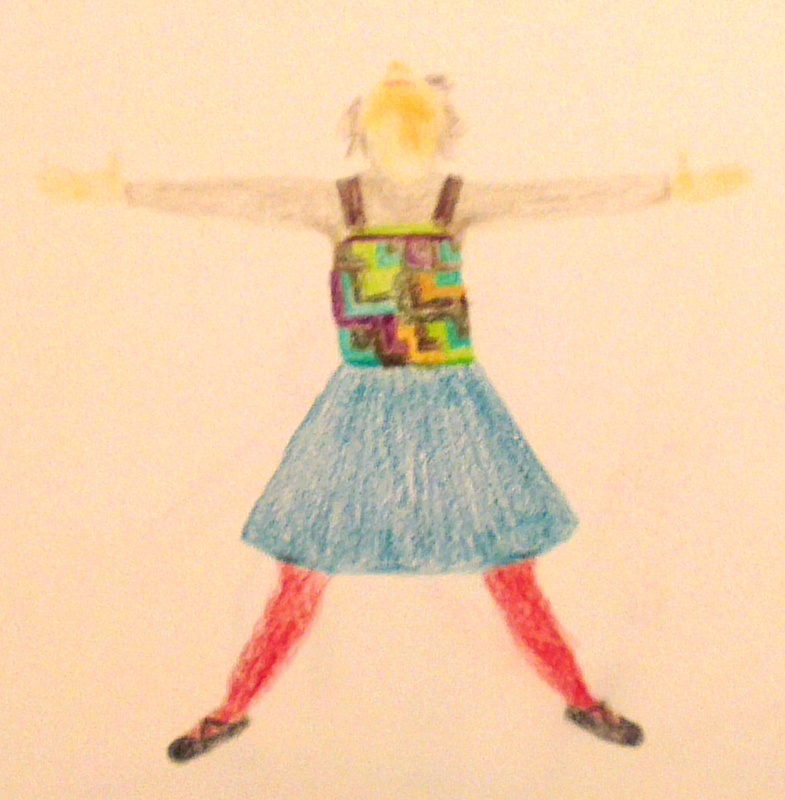 There were a bunch of things that came out of my last vision quest but I’m wary of trying to capture them. Some seem like elegant nuggets, they can be named and shared, there is a temptation and a danger in reducing the experience to these. This video is a love letter to humans and trees. It is the simplest, truest expression my heart could come up with. This captures exactly what drove me to produce the Poetrees project – an invitation to create more joy in the world through the magic of our relationships with trees. This is the bridge I hope to build with Poetrees from one human to another so that no-one need feel strange or alone in the depth of feeling they hold towards a tree. Poetrees is alive! 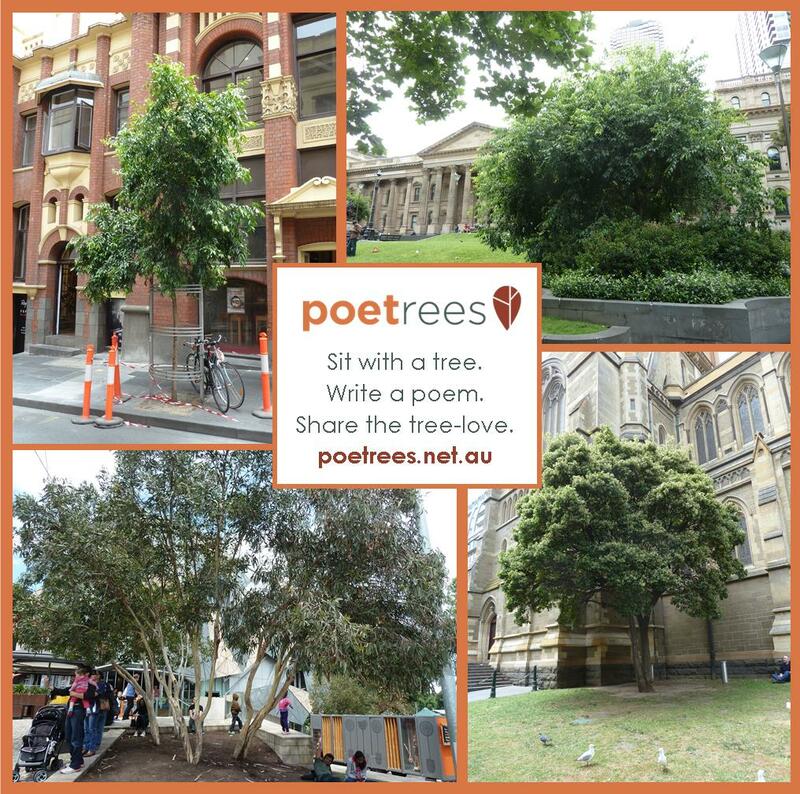 You can go to poetrees.net.au right now and read poems that people have submitted, you can visit their treasured trees and you can even add a poem and a tree of your own. So now it’s your turn to become part of the Poetrees story. Sit by your favorite tree and write a poem. Know that we are listening gently, ready to hear the feeling behind your clumsy words. Tell us what you love about it. Tell us what your tree loves. 1. Spread the word. ‘Like’ our posts, follow us on Facebook and Instagram, share our posts and tag people you think might be interested. 2. Tell us what you think. It’s tough sending a brand new baby out into the world, words of encouragement or feedback about how the site is working are very welcome! 3. Encourage other poets. Share the poems that are already up on the site with #poetrees, let them know how much you appreciate their work and show support for the courageous early adopters. 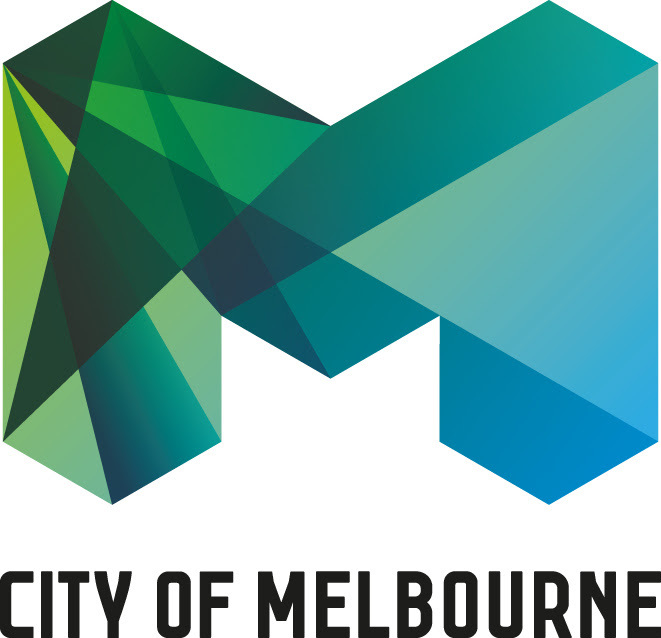 Poetrees is supported by the City of Melbourne 2016 Arts Grants Program. The Poetrees seed has been lurking in the dark for over three months. We’ve been gently watering it with encouraging words, fertilizing it with our creative insights and learning from our mistakes. Over the past week a small tendril has been reaching for the sun as we test the prototype and make sure it’s all ready for your poetic words of tree love. For those who are new to the project, Poetrees is a playful community arts offering that explores our connection with trees. Users will be able to submit a poem and a tree to the interactive map on our website so that others can visit the tree and read the poem. I’m excited to let you know that after hours and hours of hard work from the team, the Poetrees website is almost ready to burst into the daylight! We’ve done everything we can to make a joyful container for your tree-loving words. Next week it will be your turn to step out of the shade and share your poetree with the world. We’re not leaving you out on a limb though! The important task of composing poems needn’t be carried out alone. We have prepared a series of poem seeding workshops throughout the Sustainable Living Festival to help you tend to your creative garden. The one hour workshops will comprise a tree meditation and some simple writing exercises to help the creative sap rise through your limbs, onto the page and up to the electronic mycelial network (aka the internet). 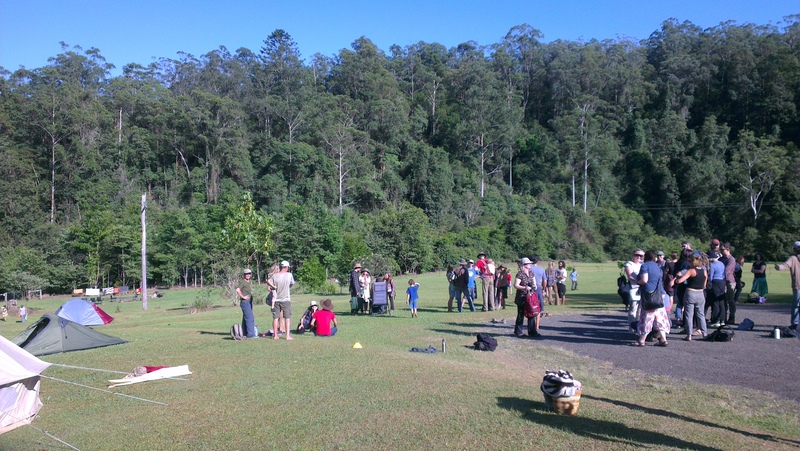 After the success of our crowdfunding campaign my partner and I headed up to norther NSW to learn bird language and nature awareness with American tracker, Jon Young. My first day of learning bird language was difficult and confusing. We were sent out to find sit spots with a simple instruction to observe tension vs relaxation in the birds around us. It seems easy enough but the diversity of Australian song birds, the high activity of spring and the amount of territorial aggression made it extremely difficult to weed through the complexity to make any sense of the whole. The debrief with my small group felt long and tedious, the blind leading the blind, it was hard to know what to share or what to listen for. At the end of that first session though I felt like I was beginning to get a sense of what is ‘baseline’ behaviour as opposed to alert or alarmed. It seems that in the Australian landscape it is silence that speaks loudest! The bush is rarely quiet unless there is some kind of predator nearby. Jon was very clear that Australia is an unfamiliar landscape for him. He didn’t try to teach us about the specificities of the local flora and fauna, instead he taught us a process for engaging with the more-than-human and generating our own connections and understandings. In fact, I observed that he rarely asserted his own knowledge at all, preferring to tell stories that left us to join our own dots. What we did learn though, after we had started making our own observations, was patterns for how birds communicate and what they might be saying. These patterns are not based on the specifics of bird evolution or biology but where birds tend to fit within an ecosystem. For example Australian birds will go silent when there is an aerial predator on the wing, just like birds in other countries. I am already putting some of the processes we learned into practice. 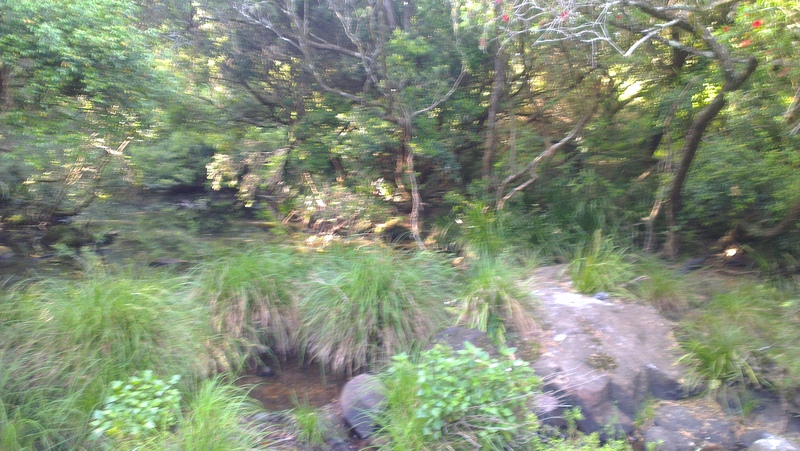 In my morning sit-spot (at Highfield Park) a pair of magpies landed 15 metres away and looked me over. Rather than staring at them like I usually do, I avoided eye contact and tipped my head away from them. The magpies walked closer, eventually crossing my gaze a mere 2 metres in front of where I was sitting. Having been a dog owner I am familiar with using body language to communicate with animals but I had never thought to try it with birds. I feel like I have taken the first steps on a long and exciting journey! My knowledge and my sense of connection will only continue to grow.